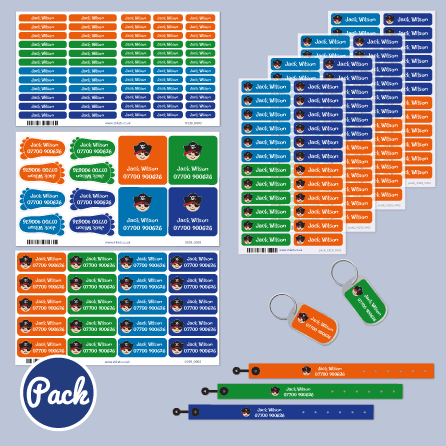 Choose your Stikets Pack! 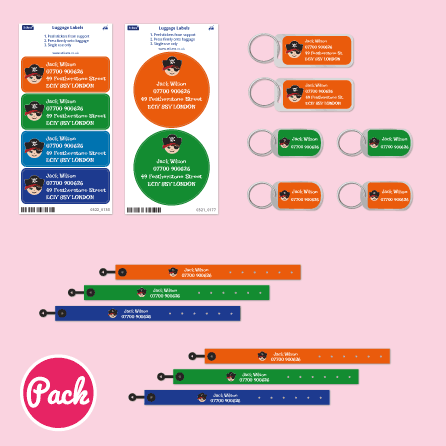 With the Stikets Packs you will get your personalised clothing labels, name stickers, ID bracelets, hanging loops and luggage tags and labels at an even cheaper price. 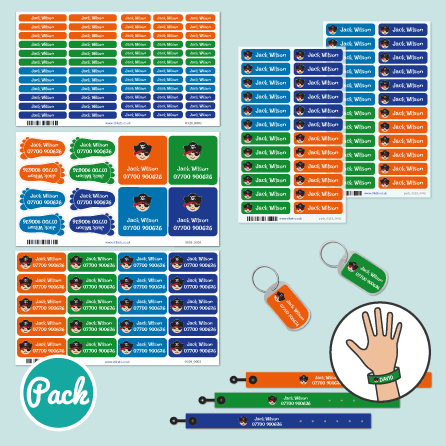 Packs with identification bracelets are perfect for excursions, for the beach or to go to the mall. In case the child gets lost it will be easier to locate him or her thanks to the contact information provided on the Stikets bracelets. Packs with hanging loops are ideal for clothes that are hanged on pegs at school. 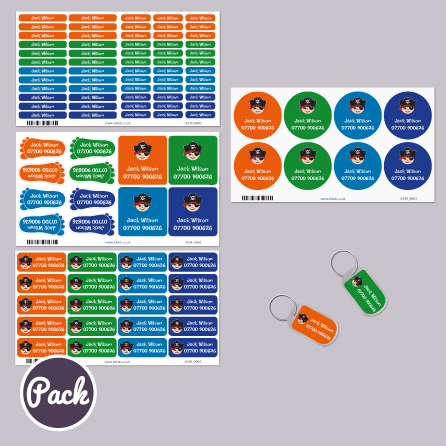 With them you can mark jackets, coats or art overalls for school with no sewing required. 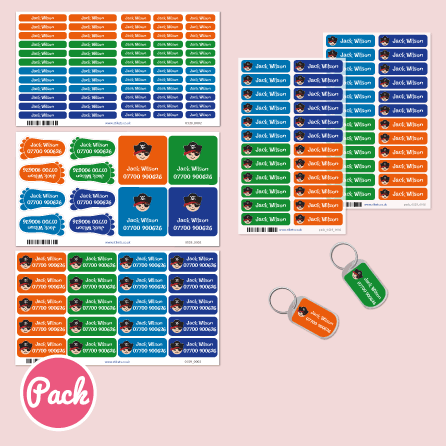 For your family trips you can choose our Family Travel Pack that includes labels and luggage tags for all your travelling needs, as well as identification bracelets with contact information for kids.